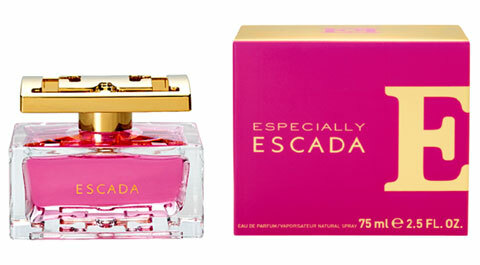 I just discovered an amazing perfume from Escada called Especially. One of my friends was wearing it the other day and the moment i smelt it i absolutely fell in LOVE! It is described as a delicious, luxurious and purely feminine scent. Designed for playful, spontaneous and glamorous women. The top notes are pear and ambrette seeds with a hint of musk. The packaging is adorable too! It is described as a luxurious balance of contemporary with classical elements, The gold stopper with the logo makes the bottle look really chic and smart, the perfume itself has a deep pink color. Especially Escada will be available as Eau the parfum in bottles of 30, 50 and 75 ml and the additional 150 ml body lotion and 150 ml shower gel.The price of the perfume is between 38-70€, the showergel costs about 22€ and the body lotion about 25€.